Sick and Tired of Mosquitoes , Sand Flies , Midges and Ticks Eating you and your Pets Alive in your Backyard. We offer a very effective mosquito treatment that will significantly reduce the number of mozzies around the home. Why Choose Certified Home Services for your Mosquito Control. At Certified Home Services our team of mosquito Treatment Technicians will help you take back the outdoors. The misting treatment is focused on where the mosquito rests during the day. This will give you the best possible outcome .Misting targeted areas around your gardens and foliage . The mosquito likes to rest in shady spots especially bushes and trees . The other areas we target around the house includes rubbish piles , verandas , under eaves.Using a mist spray it bonds to surfaces and foliage, where it is lethal to mosquitoes and midge and even spiders for weeks to come. you will need to keep your lawns cut as mosquitoes love long grass to hide and rest. Keep your trees and bushes trimmed . This will reduce the areas where they can hide. Clean and flush any bird baths regularly. Check your drainage and make sure there is no areas of water pooling. Rainwater tanks Check screens and seals on rainwater tanks. When you venture outside cover up with long sleeved shirts and long pants . Make sure you Apply a mosquito repellent to exposed skin . Try not to go outside during peak mosquito biting hours around dawn and dusk. Products we use are a synthetic pyrethroid. The product itself water-based, mixed in water and will not affect plants. Once dry it is non toxic to humans and animals however it can be toxic to reptiles and fish in ponds or aquariums. So we take great care to avoid these areas .We will advise you what you need to do before we treat. The full Service will take about 20-30 minutes. Bigger Homes may take longer to treat. Each treatment will give the best results in the first 4 weeks. It has been shown to be effective for up to 8 weeks. However we recommend a misting at four weeks intervals to get the best results . The misting also reduces the amount of Midges , spiders , fleas and Ticks around the yard so your pets will benefit from this as well . The answer is No . Just leave your gate open , Put your pets inside or take them for a walk. we will then treat the areas around your Home. When you book with us, we will ask you what time you need the treatment so it is convenient for you. If you would like to be home during the treatment that is great. If not that is fine as well.Furthermore our Fully trained and licensed pest controllers will conduct the service and leave a service notice.The Technician will Explain what has been done and what chemical that has been used. The technician will also give recommendations on how to reduce those mosquitoes even more. 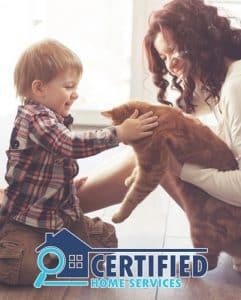 At Certified Home Services we also offer a complete range of services to help you protect your home. 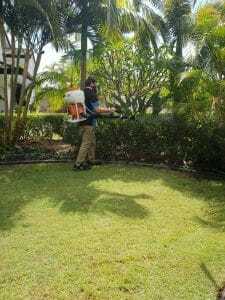 We also offer services for commercial businesses, professional mosquito control for your business. Customers can also be affected by mosquito an midges. In fact the problem will stop people from wanting to spend any amount of time in your business or venue. General Pest control for Cockroaches , ants and spiders. End of lease pest control. Bed bug treatments for both Residential and Commercial. Pre-Purchase Building and Pest inspections Before you buy your new home. Pre-Sale Building and pest inspections . So you have no surprises before you sell Your Home. So if you are sick and tired of getting bitten and driven back inside and are ready to take back the outdoors , so you and your family can enjoy your surrounds . Give us a call for a free quote.